Resisting to the general apathy and caught in the crossroad of a kaleidoscopic theatrical reality, criticism is facing today new exciting challenges and is responding to new needs. Navigating between aesthetics, history, philosophy, literature and journalism, performing arts criticism has been slowly – and steadily – disappearing in the last decades. We could refer to monsters such as commercialism, publicity, and the general indifference towards the arts or the loss of debate in the public sphere as the main reasons for the performing arts criticism apparent collapse. But things may be a bit more complex than that. And, ultimately, it seems to be virtually impossible to single out just one reason for performing arts criticism’s crisis. But one thing seems to be very palpable: it is not difficult to imagine a scenario where, in a very near future, criticism will disappear. Of course, each geographical and historical context has its own specificities and characteristics. This alleged crisis has not the same expression all over the world. I’m sure we can find common traces of it a bit everywhere, but I’m also sure that there are contexts that are resisting better to the crisis and making brave new ways. Personally, I strongly believe that the core function of performing arts criticism is to amplify the impact area of a performance; to increase its impact on the public sphere. I do believe that performing arts criticism helps to place the public debate about a performance on the same level of attention that other public concerns, such as the price of bread, an interview with a banker, or the news on global finance. This may seem a bit naïve – and, worst (! ), inappropriate for the theme of our symposium: “A New World: The Profession of Criticism in the Internet Era”. But I hope it all seem clearer in a couple of minutes. As we all know, theatre criticism and newspapers have a very long relationship. They have been married since the eighteenth century. Consequently, as all long term couples do, they have started to look like each other. Then, theatre criticism and cultural journalism tend to look like each other: they are often printed in the same pages of the newspaper; they are often signed by the same authors. They look like each other and the blur is installed. Furthermore, cultural journalism is safer – it involves less polemics or arguments; it invites publicity; it is friendlier. And so, with the blur between cultural journalism and criticism, my guess is that cultural journalism will take over and criticism will eventually disappear. It is very easy to understand an editor that doesn’t see the need to publish a critical text with 3.500 signs the day after a premiere of a performance when he has published, two days before, a long interview with the director or with the leading actor or actress. It is very easy to understand this editor’s option – but is also important to remind this editor that he/she is very wrong. Cultural journalism and theatre criticism are very different things and respond to very different functions. Both needed. Both vital. But also both different. Cultural journalism and criticism do not share the same function. So, if newspapers don’t seem to be interested in having critical texts on their pages and if the space for criticism is more and more limited, performing arts criticism has been moving away towards new media namely, specialized journals, magazines or books, and, of course, to the internet, where sites and blogs devoted to performing arts criticism are flourishing. Some are amateur, others are professionalized; some are linked to traditional titles, others act as “alternative underdogs”; – but they are all creating a possibility of a new – however different – life for criticism. On the same manner, trying to find new ways for the practice of theatre criticism, there has been an on-going approach between the traditionally distinct areas of criticism, dramaturgy and artistic creation. Practises such as embedded criticism, horizontal criticism or intercriticism have been placing critics, dramaturges and artists in a more and more close position and have been raising new ways for performing arts criticism to develop. All these changes have been changing the core function of performing arts criticism and its role on public sphere. In this paper, I aim to discuss the function of online criticism and its participation in public life, while presenting and discussing the Portuguese online training seminar for performing arts critics “Mais Crítica” (http://maiscritica.wordpress.com), sponsored by four Lisbon theatre structures: Culturgest, Alkantara, and the Municipal Theatres Maria Matos and São Luiz. 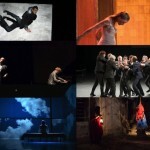 These four institutions represent, in Lisbon, the most relevant venues for new theatricalities and contemporary performance, promoting Portuguese contemporary theatre makers as well as inviting relevant international artists and groups, offering the city some of the most interesting and significant performances in the last decade. Culturgest is an institution linked with the national bank Caixa Geral de Depósitos. Its theatre programme is one of the most exciting in the city, focused mainly on international performances. Alkantara is an association focused on the promotion of artistic creation and on the presentation of new theatrical forms, including an annual international theatre festival, one of the most significant in Portugal; and two municipal theatres: Maria Matos and São Luiz, both with a clear focus on defending and promoting Portuguese contemporary theatre and dance makers, but also with a relevant international profile. The training seminar “Mais Crítica” (“More Criticism”) ran from July 2012 to October 2013. It had two tutors (I, more at ease in theatre and drama criticism; and Liliana Coutinho, fluent in dance and performance criticism). We first started with a call for participations. Then we selected six critics out of nearly sixty candidates. Our task was, essentially, to provide a long-term formation on performing arts criticism while discussing performances, editing and discussing the texts written by the trainees during the period of training, and, overall, to manage the blog where all the texts, comments and other materials produced in the context of the seminar were published. The best applications were unquestionably from candidates with an academic profile and with some experience on criticism. And, most relevantly, all manifested particular interest in new theatrical forms, dance or transdisciplinar performances. We also received several applications from actors and other theatre artists moved mainly, I suppose, by curiosity. But we opted by the ones that seemed to be looking for a way to professionalize their critical writings and by those candidates that could go on writing theatre reviews after the end of the training seminar. Within Lisbon theatre and dance community, the start of this training seminar was not without suspicion. There were several questions flying around us: Should institutional theatre structures sponsor theatre critics to promote criticism? Is it their job to do that? Will these critics write only about performances presented in those venues? If so, isn’t this a way to have unpaid critics writing? A cloud of suspicion and promiscuity was, positively, in the air. Trying to anticipate precisely those misunderstandings, one of the first things undertaken by the sponsors was to write to the majority of the theatre and dance structures in Lisbon and to announce that we were about to start this venture, and to ask if there would be any ticket availability for the trainees. The sponsors also inquired if some artists would be available for discussions and meetings with the working group. To both questions the answers were 99% positive. The aim was to write about performances presented in Lisbon in all the venues available, and not only on venues owed by the promoters, obviously. The goal of this long-term training seminar was to fight the progressive disappearance of performing arts criticism in the Portuguese theatrical landscape. The idea was to multiply the number of critics working and writing in Portugal and to help to create new sites that could amplify the discourse on arts and its impact on the public sphere in general. The training had a theoretical and a practical component that was devised to provide a set of important tools for analysing and writing about performances. The training also comprehended a series of sessions devoted to specific themes, such as the function of theatre criticism; cultural journalism; criticism and memory; criticism and artistic creation; the crisis of authority; judgment and argumentation; new media; and art and social participation. Besides this programme, the training seminar intended to be complemented by several parallel activities, such as attending rehearsals or talks with theatre and dance makers. During the training period there were also some intensive working sessions, such as a three-day workshop with the Dutch critic Pieter T’jonk, in Lisbon, and the active participation in the show case of Portuguese theatre – PT13 (http://www.pt-13.com/info.html ) – promoted by the choreographer Rui Horta, in his venue in the South of the country, at Montemor-o-Novo. During PT13, the theatre and dance critics, Helen Meany and Gerard Mayen, were invited to conduct the work sessions where the performances were discussed and analysed. During the showcase the texts were published in the blog. At the beginning of the training there was also programmed a series of talks by the Portuguese critic Augusto M. Seabra on the topic “History and Theory of Criticism”, in Culturgest. All this created some interest in Lisbon theatre and dance community and, at the beginning, each new post on Mais Crítica blog motivated many comments and reactions. Some comments tried to discuss the performances reviewed, debating the arguments presented by the critics; but other merely criticized the critics, lamenting everything from the title of the text to the choice of the verbs. In my opinion, some comments were very harsh and unfair; but the general attitude was to favour the initiative. I guess that everybody felt the acute need for the promotion of critical thought and, particularly, performing arts criticism. At the peak of interest of our seminar, each new post had about five hundred readers (which we considered quite a good number). And as the quality and relevance of the texts were considerably growing, almost everybody forgot that “Mais Crítica” was a training seminar and the blog became just another performing arts critic’s blog. The readers of the blog were overwhelmingly members of the theatre and dance communities – fellow critics, actors, directors and other theatre and dance artists. And, I guess, this is what happens with the majority (if not the totality) of the blogs on theatre criticism. There are not many of these blogs in Portugal – even if performing arts criticism is rapidly disappearing from our printed newspapers, Internet is not exactly becoming its visible substitute. There are just a few blogs, mostly kept amateurishly. Many are very personal blogs where are published, simultaneously, personal impressions of life, thoughts, travel reminiscences and theatre reviews; others are collective blogs where an editorial guideline is hard do trace, publishing theatre and dance reviews but also interviews and other texts, addressing theatre, cinema, literature and other arts. And, most relevantly, they all seem to share the same readers. Of course, this is an incredible abusive affirmation (I have not scientifically identified all the readers on theatre Portuguese blogosphere) but it is quite perceptible that its reading community is not that diverse. The first cycle of formation ended in October 2013. With the conclusion of the seminar, the trainees decided to continue as a group and to create their own blog, with a different name and a different identity. They were all interested in having a more close relationship with creators and, specifically, to move into a field more connected with dramaturgy – the work developed by SARMA (Laboratory for criticism, dramaturgy, research and creation) was very inspirational and can be held as a good example of what the group was looking for. As far as the sponsors were concerned, they intended to study a way to continue the initiative, possibly transforming it in a series of short-term training seminars, with a different group. None of these intentions have been – so far – undertaken. This is not the place to make an exhaustive evaluation on the merits and the flaws of the “Mais Crítica” Project – I have done that elsewhere – and that is not the goal of this paper. But one thing I would like to share – and that is precisely the point of my paper. 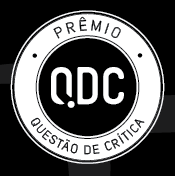 The “Mais Crítica” blog – like many other similar blogs devoted to criticism – was not able to overpass the frontier of the “theatre community”. Its readers were mainly fellow critics and artists – people that were already interested on the subject. That is precisely my problem with online criticism. I do strongly believe that online criticism and, generally, the new media are not able to fulfil the core function of criticism. I mean, shortly, to increase the impact area of a performance and to inscribe it on the public sphere. In order to do this, criticism needs to be on the same level as other subjects of public life, from politics to football. And, sadly, notwithstanding the current divorce between newspapers and critical thought, there is hard to find a better medium than newspapers to do precisely that. General media such as daily or weekly newspapers proved to be the best way to feed a fluid dialogue between things so diverse as football, politics, economy, urbanism or art. Specialized media such as theatre journals, magazines or blogs fail, necessarily, to do that. They address a restricted community that share the same common interests and, therefore, they don’t allow criticism to perform its function. Non-initiates are unlikely to stumble on the relevant sites, which may become, instead, hermetic discussion circles for those already won over the cause. The danger, again, is that while everybody’s interests are catered for, nobody’s are challenged or expanded. (2007:16). And this ability to challenge and expand is, I believe, to be at the centre of the function of criticism. In fact, one of the major difficulties – that caused a great deal of stress and anxiety on the trainees – was their alleged lack of authority to be writing on performances. This is a bit of a paradox because the whole world seems to be terminating the idea of authority itself and the horizontality of opinions on Internet seems to be eradicating the idea of the critic as a specialist. I believe that this is an endogenous problem of online criticism. Evidently, this is not a phenomenon restricted to the Internet. It is a very visible characteristic of our times, but I think this problem is felt more acutely online. Disguised as democracy, equality or progress, the online “horizontality culture” actually diminishes our possibilities of choice. “What could be better suited to a ravenously consumerist society, thriving on depthless and instant gratifications than an ethos where judgements of cultural quality are down to everyone’s individual tastes and opinions?” – Rónán McDonald asks (Ibidem:17). So, my point is: if professional theatre criticism remains concealed in hermetic discussions, diluted in a vast sea of horizontal voices, each with the same authority and without the possibility to reach and intervene substantively on public sphere through the exposition of a well presented judgment, it is not really fulfilling its function and, therefore, it will be socially irrelevant. [The critic] asserts that all artistic work requires reflection, that it is not simply a product designed for immediate inconsequential consumption, but part of a social and aesthetic ensemble and of the community at large. By just criticism, the artist’s individual processes are linked to the collective. It permits what is particular to become collective. Although it is produced by an individual, it is first and foremost addressed to all. Critical thinking is thus justified by its being addressed to the community. The community appoints an individual who acts as its representative, and the latter reports to the community. (Ibidem). However, I do believe, with Terry Eagleton, that “criticism today lacks all substantive social function” (2005: 7). For Eagleton, the role of the contemporary criticism is, basically, to unite the private and the individual with the public and the collective. Thus, the role of contemporary critic is, evidently, a rather traditional one. He refuses to invent a new fashionable function for criticism. This “primitive” function of criticism is concerned with the “symbolic processes of social life, and the social production of forms of subjectivity” (Ibidem: 124). So, Eagleton argues that “modern criticism was born of a struggle against the absolutist state”, considering that “unless its future is now defined as a struggle against the bourgeois state, it might have no future at all” (Ibidem: 124). I do believe that this is the proper combat we all must face. Commercialism and publicity, the general indifference towards the arts or the loss of debate in the public sphere are all features of the same problem. A problem that is not exclusive of criticism, surely, but one that can really bring criticism into a collapse. I guess that what I’m trying to state is that I don’t think the survival of criticism will be a question of finding a new medium to circulate it or to publish. I don’t think that the “Internet Era”, this “New World” where the profession of criticism will most undoubtedly move to, will grant criticism another – respectable – life if its primitive function will not be observed. Or, at least, a life that can permit criticism fulfil its social function. To migrate into new media will not save performing arts criticism if its social mission will not be addressed. It is also true that online publications are becoming more and more conventional and we all read more and more online. Maybe we get more information about the world from stuff shared on Facebook newsfeed than from newspapers. Maybe I’m completely out-dated and online publications are those that get to the majority of people and the printed ones are those that are only seen by a selected group of people. Things change very rapidly and I’m sure we could find examples to confirm but also to contradict what I’m stating. Nevertheless, what I would like to underline is that criticism’s social function does not depend on the medium it appears. It depends mainly on the ability of intervening on public sphere. The Mais Crítica project was frustrating to me precisely because of that lack of substantive social function. We were writing for a very closed circuit of people – we could not challenge or expand. We could not increase the impact area of a performance. We could not become a part of a public exchange of opinions. We exchanged opinions publicly – but that’s not even close to being the same thing. In The Lusíadas, the Portuguese epic poem, written by Luiz Vaz de Camões in the sixteenth century (published in 1572), there is, in Canto IV, a character named “O Velho do Restelo”. When Portuguese sailors where departing towards India and Brazil, this old men stayed behind, on the pier, complaining and moaning, saying that all that fuss was completely unnecessary and that it was all motivated mainly by vanity. This character represents, obviously, pessimism and conservatism. I don’t want to play that role. But I really believe that the survival of criticism cannot be done at any cost and that Internet era’s new world can easily lead criticism to a non-fulfilling existence if its function ceases to be at the core of our profession. A function that is absolutely vital to the survival of culture, as we know it. EAGLETON, Terry (2005), The Function of Criticism. London and New York: Verso. (1984). FÉRAL, Josette (2000), “ ‘The Artwork Judges Them’: the Theatre Critic in a Changing Landscape”, New Theatre Quarterly / Volume 16 / Issue 04 / November, pp 307 – 314. McDONALD, Rónán (2007), The Death of the Critic. London: Continuum. Rui Pina Coelho (b. 1975) lectures at the Lisbon Theatre and Film School and at the University ofLisbon. He is also a researcher at the Centre for Theatre Studies (Lisbon). He has a PhD in Theatre Studies with a study on the representation of violence in Post World War II British Realist Drama. He lectures on theatre history, dramaturgy, theatre criticism and contemporary playwriting. As an author, playwright and translator he has worked with several Portuguese theater companies. Since 2010, he has been collaborating with TEP, the Experimental Theatre of Oporto, as a playwright and dramaturg. He is also a member of the Direction of APCT (Portuguese Association of Theater Critics) and Director of the theatre and performing arts journal Sinais de cena. He is the author of, among other titles, A hora do crime: A violência na dramaturgia britânica do pós-Segunda Guerra Mundial (1951-1967) (Peter Lang, 2016), Casa da Comédia (1946-1975): Um palco para uma ideia de teatro (IN-CM, 2009). On this subject, we should remember the International Conference on Intercriticism, held by the Association of Slovenian Theatre Critics and Researchers, the AICT/IATC and the Maribor Theatre Festival, in the University of Maribor, 2010. This was an initiative held by Miguel Lobo Antunes and Francisco Frazão (Culturgest), Mark Deputter (Maria Matos Municipal Theatre), Thomas Walgrave (Alkantara) and José Luís Ferreira (São Luiz Municipal Theatre).